Driving your own adventure through our unique and sensational national parks in Uganda, Rwanda, Kenya and Tanzania in our 4×4 cars without cross border fees from 4×4 Uganda Ltd beats all levels of adventure in Africa. Just imagine the thrills of waking up in your own private camp, encountering nature’s habitat by your own and discovering secluded locations in the heart of the African Bush. 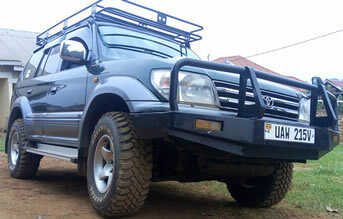 The best 4×4 car hire options for self drive tours in Uganda, Rwanda, Kenya and Tanzania are the Toyota Land cruiser (Prado or Hardtop), 4×4 Toyota Rav4, Toyota Hiace or super custom for families and Toyota Hilux Dual Cab. 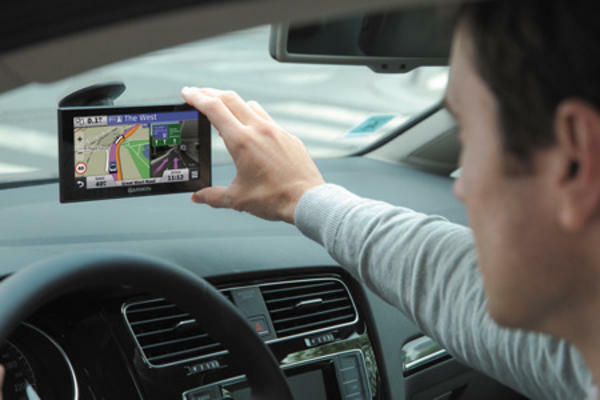 These cars have great track record and are the most capable and enduring 4×4 in the world. East Africa represents Africa’s beauty with a wide number of untamed wildlife reserves that attract many tourists allover the world. In Uganda and Rwanda, we find the ONLY world’s last remaining population of the critically endangered mountain gorillas, inhabited in Volcanoes National Park (Rwanda), Bwindi Impenetrable Forest and Mgahinga National park in Uganda. Among other areas of interest in Uganda include Murchison falls National Park, Kibale National park, Queen Elizabeth, Semliki Park, Lake Mburo, Mount Rwenzori, Mt. Elgon and Kidepo valley among others. Kenya and Tanzania is famous for the wildebeest migration that attracts thousands of Visitors into Masai Mara National Park in Kenya and Serengeti National Park in Tanzania. 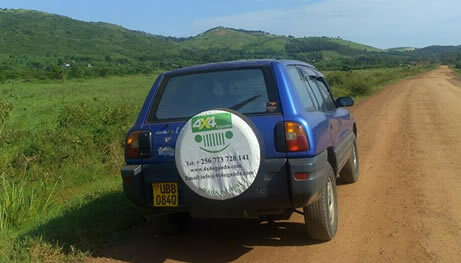 Book a very reliable car with 4×4 Uganda ltd and explore all the hidden treasures of East Africa. We have huge discounts if you hire our car (s) for big number of days.